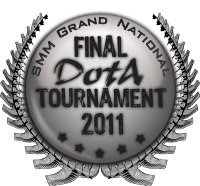 Kuala Lumpur, Malaysia - The last major LAN DotA tournament for the year 2011 will be held in Malaysia. What is the meaning of SMM? To celebreate SMM and the Christmas season, we are giving away a Dota 2 beta key. where can we watch this..
Aww can't go, it's far from my place =_="